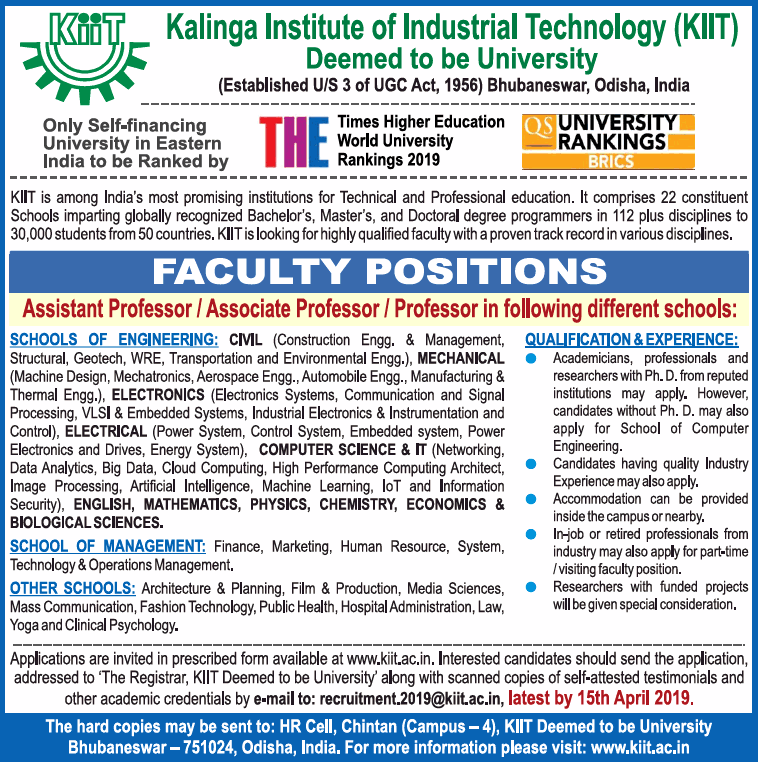 Kalinga Institute of Industrial Technology, Bhubaneswar has advertised in THE TIMES OF INDIA newspaper for recruitment of Professor / Associate Professor / Assistant Professor jobs vacancies. Interested and eligible job aspirants are requested to apply on or before 15th April 2019. Check out further more details below. Ph.D is preferred. For complete info, please see advt copy attached below in reference. How to Apply: Interested candidates are requested to send application in prescribed format along with copies of certificates and recent passport size photo to the email address or postal address provided below.